Feeling extra patriotic? Good news is there are a ton of options for buying USA-made flooring. Don’t sweat over checking for the “made in China” label, we’ve got all the right brands here for you. That’s one less thing think you’ll have to worry about on your flooring journey. There are a lot of great reasons to buy USA-made flooring. First off, when you buy USA-made flooring, you’re supporting local businesses. Someone is out there manufacturing, printing, sealing, and constructing your beautiful flooring. They may even be in your community! That’s a feeling you can’t beat. Second, USA-made flooring follows sustainability practices. If you’re interested in keeping the planet safe, this option is for you. Also, because it’s USA-made, you get to use brands you trust. There are brands you know and love currently offering USA-made flooring, so you get to stick with what you know. Third, not buying who-knows-what flooring from who-knows-where also means you get quality material. You know exactly where your flooring is from and what’s in it. Something everyone needs to know. You’re doing yourself a service by buying USA-made flooring. So what options do you have? Well, you have a lot! For example, you can buy USA-made carpet, vinyl, laminate, engineered wood, and tiles. With all those choices, now the question is, which one is the best for you? At the end of the day, maybe you want to hear from an industry leading expert of USA-made flooring. Here are some of their thoughts about USA-made flooring. Carpet has come a long way from the carpet of yesteryear. Remember that dark brown shag everyone used to have? You’re no longer stuck with that option! Carpet is now stain resistant and shows way less wear and tear. It can also stand up to both pets and children, who often make the same messes. There are countless numbers of color and design options at your fingertips. For example, do you need glow in the dark home theater carpet? We have it. But don’t worry, we also have plenty of designs for everyday use in case you don’t want your floor to glow. You can buy carpet in tiles or rolls to fit your need. We also have area rugs if you just need a bit of carpet on your floor. Warm and Comfy- Carpet is notoriously the warm option for your home. Some people hate the feeling of walking on a cold, hard surface. Especially in the winter! Worry not, you’ll be super snug in a carpeted home. 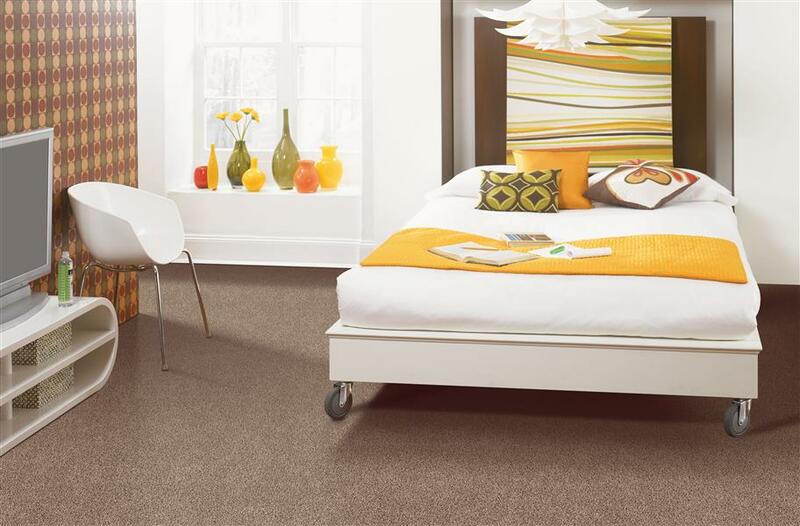 Affordable- Carpet is definitely one of the most affordable options for flooring. Easy Installation- There’s something nice about being able to just roll out your carpet and be done. Okay, maybe it’s not that easy for carpet rolls, but at least you have easier options! There are interlocking, glue-free, and peel and stick options for carpet. Just lay and go. Of course, if you are buying a rug, then it is as simple as rolling it out and being done. Tiles, Rolls, or Rugs- Maybe you already have great floors and just want an added touch of texture. That’s an option! There are plenty of area rugs to choose from. You can also buy in bulk with rolled carpet and save if you’re on a budget. Want an easy install? Tiles are your best choice. The great thing about tiles is if one get’s damaged, you can just replace that single tile, no worries! Outdated?- It’s true that a lot of people see carpet as outdated nowadays. Unfortunately (or fortunately!) with the rise of laminate and vinyl for your home, carpet is no longer the top-dog for affordable flooring. But hey, rugs are still in! Clean, Clean, Clean- Unfortunately with carpet you can’t just Swiffer your way to a clean floor. It definitely requires a vacuum and some TLC. Allergies- If you have a pet, or track in a lot of dust, carpet can hold those allergens in and contribute to your allergies. 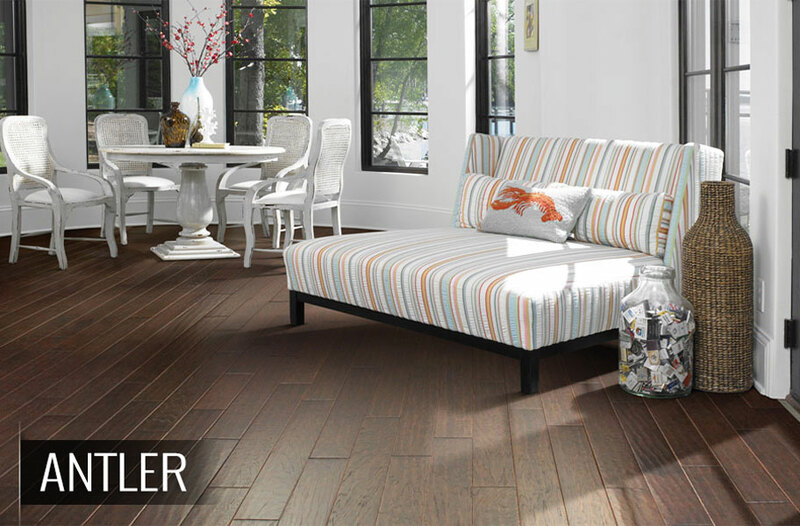 Vinyl is the up-and-coming best flooring for your home. Part of the reason in catches so much attention is because of all the options vinyl can offer. For example, you can buy waterproof vinyl, tiles, planks, peel and stick, and also rolls. There is literally something for everyone. Not only that, but vinyl can mimic wood or stone, so from a design point of view, it’s awesome. Bonus: It’s also super affordable. Easy Installation- You’ve got choices with vinyl. You can peel and stick, glue, interlock and float, or loose lay. If you have a large area to cover, you can also roll out vinyl, though it’s less DIY friendly than the other options. Waterproof Options- Yes, you can get vinyl that’s 100% waterproof. It sounds incredible, and it is! WPC vinyl can go anywhere in the home because of its waterproof core. How does it work? Well, there’s four layers of protection: a wear layer, the luxury vinyl top layer, and the core structure of WPC. The third layer is waterproof and high-density, so nothing is damaging that baby. As a bonus to this awesome vinyl, the last layer is the underlayment. High-Quality Looks- One of the reasons vinyl is becoming so popular is because it can look high-end without having the high-end price tag. It’s affordable and can mimic the more expensive things you want, like wood or stone. If you have expensive taste, but a less-than-extravagant budget (AKA ME) then vinyl is the way to go. Phthalates- In recent years, this word has become a worry to some. Phthalates are mostly used as a plasticizer and are currently being studied as a chemical that is potentially toxic. The good news is, our WPC vinyl is phthalate free as well as other vinyl! The bad news is not all vinyl is phthalate free. Higher-Quality Price- Even though luxury vinyl is still less than some porcelain and most engineered wood floors, it still isn’t the least-expensive flooring on the block. What is laminate? Well, laminate is this magical flooring that gives you a wood look but at a carpet price. It is incredibly inexpensive, but also has the luxury of a variety of looks. You can buy it smooth, textured, or distressed, so you can really customize what you want in your home. As a bonus, the install is super easy. You are saving time and money, literally. Inexpensive- Laminate floors are super affordable. There is a wide range of prices from $1.00/sqft to $4.00/sqft. You can easily find a laminate that fits your budget and style. Get choosing! Easy Installation- Install laminate as a floating floor. This means the flooring has a special locking mechanism that attaches to each new piece. Laminate does not adhere to the subfloor at all. Easy! Variety of Looks- You’ve got a lot of choices to make with laminate. You can also buy laminate in a dark wood finish or a light finish. You can also buy it distressed, smooth, hand scraped, or textured. You’re sure to find something that fits your style. Not Super Durable- Laminate is great! However, it is more prone to scratching than other flooring. Luckily, there are a ton of ways to minimize the possibility of scratching. Also, most laminate comes with a warranty. Careful Cleaning- Most laminates should be cleaned with a laminate specific cleaning solution or a mild soap. Laminate is adverse to water, so you should not use a regular wet mop on the surface. Oh, I really do love engineered wood. It is one of my favorite flooring options and you’ll find me talking about it A LOT. Engineered wood has the benefits of being real wood flooring, but with the added protection of extra layers. It also stands up to moisture and humidity fairly well and is less expensive than hardwood. Easy Installation- Engineered wood can be installed in a variety of ways. It’s your choice! You can glue, staple, float, or nail engineered wood. You have more choices than you would with hardwood. Durable- These come with long warranties because they last practically forever. Because engineered wood has extra layers of protection from moisture and heat, it’s often radiant heat approved, all-level approved, and kitchen approved. This flooring can stand up to practically anything. Real Wood- One of the fancier aspects of engineered wood is the fact that it does contain real wood. While other flooring is imitation wood, engineered is the real thing. It may not be solid hardwood, but it is real wood! Expensive- Unfortunately, engineered wood is one of the more expensive types of flooring here. Though there are options for engineered wood on par with other types of flooring, for the most part, it will require a higher budget. Related Content–>Engineered Wood vs Solid Hardwood: What’s the Difference? Tile is one of the most durable floors money can buy. These days, tile can look like just about anything including wood, stone, and also fabrics. There are two types of tile, ceramic and porcelain. While ceramic usually mimics wood or stone, porcelain can mimic wood, stone, marble, and fabric. 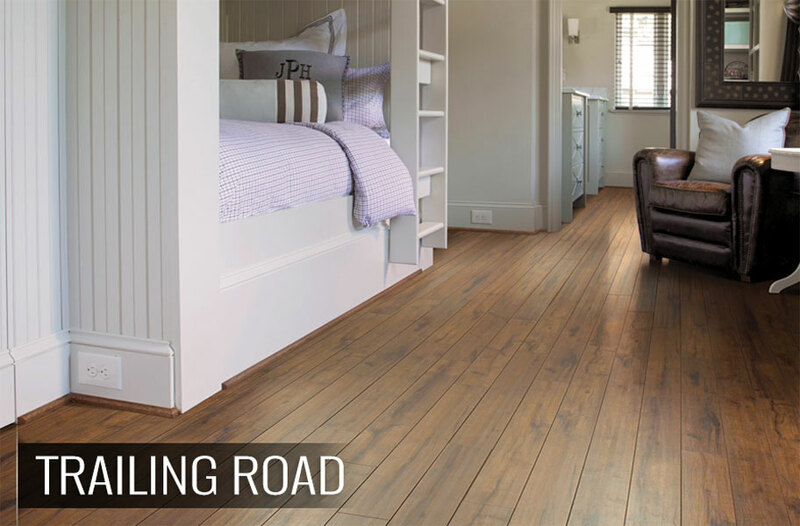 Though not the most inexpensive flooring, it is affordable and offers a range of quality and price points. Durable- Both ceramic and porcelain are made of clay and fired in a kiln. This means they are both hardy and can withstand the normal wear and tear of daily life in your home. While ceramic is hardy, porcelain is the creme of the crop when it comes to durability. Great Price- A great floor at a low price is something everyone is looking for. Luckily, tile is very affordable! While some tile can be expensive and on par with engineered wood, most tile is very affordable and can be found at a similar price point as laminate. The combination of durability and price is something no one can beat. Options- You’re no longer limited to just stone looks. Tile can now mimic wood, marble, fabric, limestone, and travertine.The choices seem limitless. 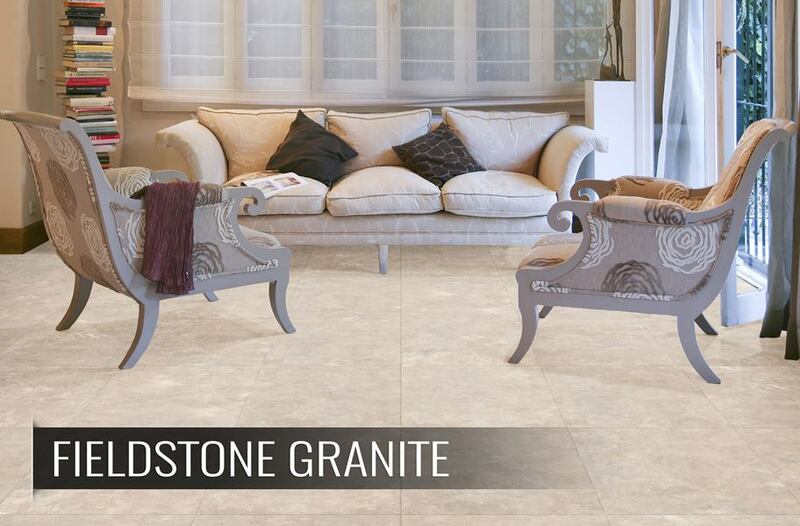 One Type- When it comes to USA-made options, you have to go with porcelain. Unfortunately, there are no ceramic options available right now. However, porcelain is great, so it’s no big loss! 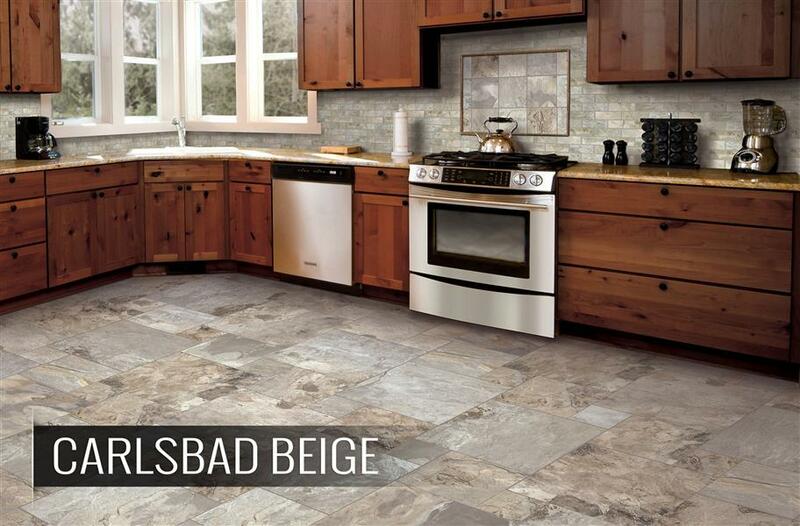 Cold and Hard- One of the reasons tile is so popular is because of its durability. Unfortunately, that does mean tile tends to be the hardest on your feet and joints, and also the coldest. If you live in a cold climate, tile might not be your friend. However, if you live in a super hot place, tile could be right for you! Difficult Installation- Tile requires a bit more experience, more tools, and a longer time-frame when it comes to installation. Be ready for the task! 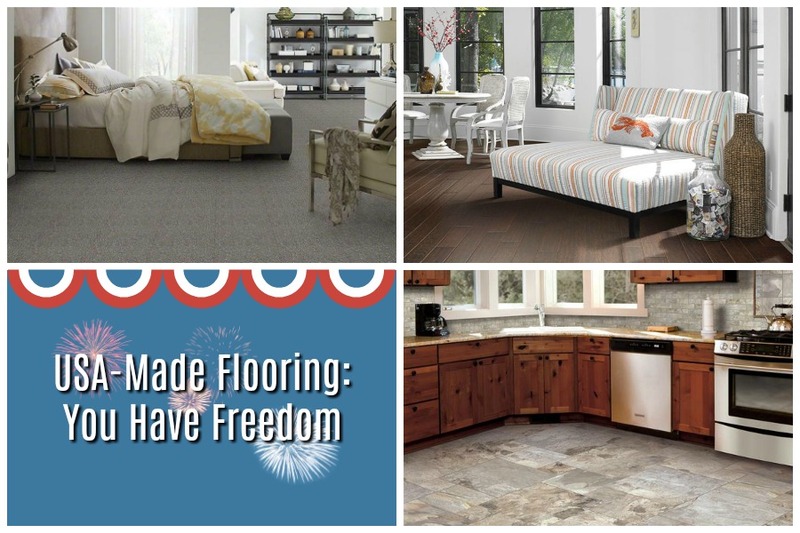 Lucky for you, there’s a USA-made flooring for every type. Not only are there different types to choose from, but you can also choose totally different styles and price-ranges. Buying USA-made means you’re supporting your neighbor and supporting ethical practices. You can love your flooring, and also have a feel-good moment at the same time. What’s better than that? This is really tough to a particular flooring at an affordable budget but the way you explain about all flooring its now quite easy to choose the right one.